MyKugelhopf » Blog Archive » Slow Food Market, Hurry Back to Zürich ! But you all know where I was spending most of my time – with the sweet producers, but of course. 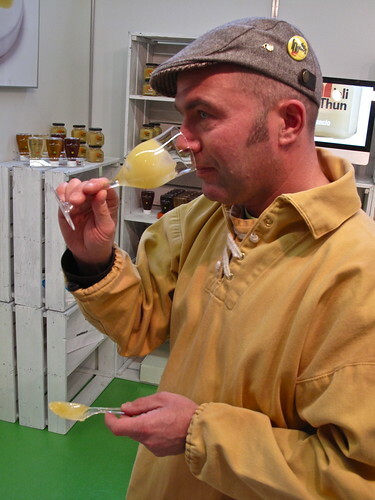 So while you may think that Andrea Paternoster below is swirling and sniffing wine, that’s actually honey. 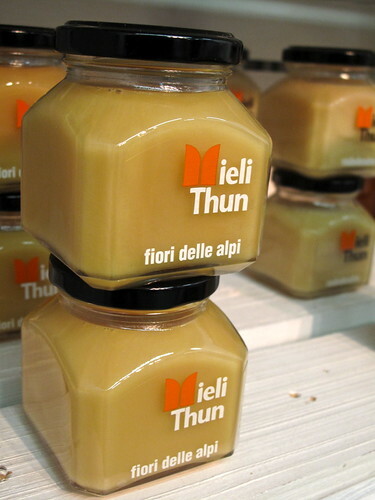 It was absolutely fascinating to smell and taste several of his varieties of Mieli Thun honey, comparing spicy notes with floral ones, contrasts between sweetness and bitterness, flavors and aromas that develop and change, just like when tasting wine – or chocolate. Pasternoster calls himself not just a beekeeper, but a “color producer”; and each of his 24 honeys (acacia, dandelion, rhododendron, sunflower, heather, etc.) 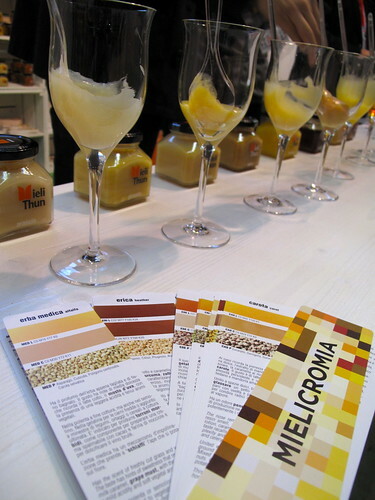 showed that, with its own distinctive color swatch, as well as origin and tasting notes. 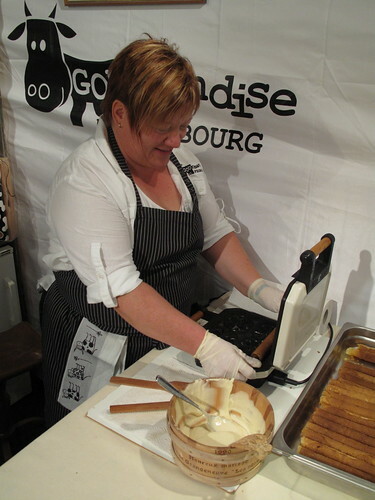 Béatrice Pittet and her husband Jean-Marc, of Gourmandises de Fribourg, had me equally captivated, as they made traditional Swiss bricelets fresh at the market, the smell drawing you to them (here’s a recipe). A thick off-white batter, made with double cream, white wine, kirsch, white sugar and flour, is poured into a bricelet iron (looks like a flattened waffle iron) and baked for just a minute or two until dark brown. Shaped by rolling them around a wooden cylinder while still warm, they have beautiful motifs from the iron itself and an amazingly light and crisp texture. 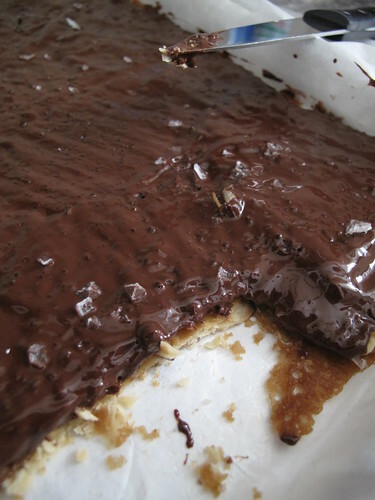 While best eaten plain, a “grosse gourmandise” as Béatrice called it, would involve dipping them in yet more double cream or even adding a thin piece of chocolate in the middle. Another sweet stand that caught my eye turned out not to be 100% sweet after all. 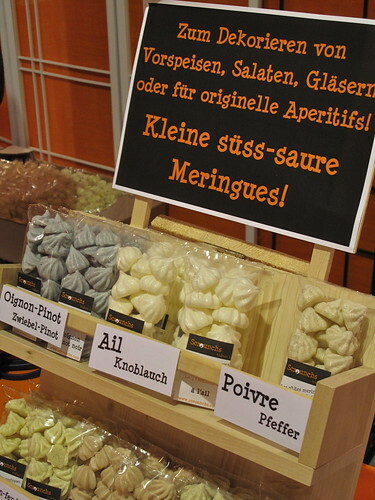 Meringues in an assortment of 20 flavors, including raspberry and passionfruit (the two most popular), seasonal lebkuchen, apricot or rhubarb… and onion/Pinot Noir ! 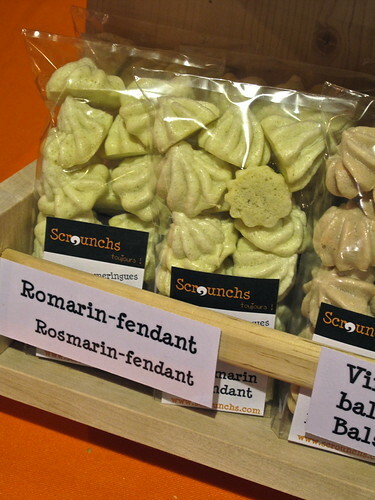 Eaten like chips during an aperitif, they can also be added to a salad or soup; garlic meringues apparently go especially well with game dishes. 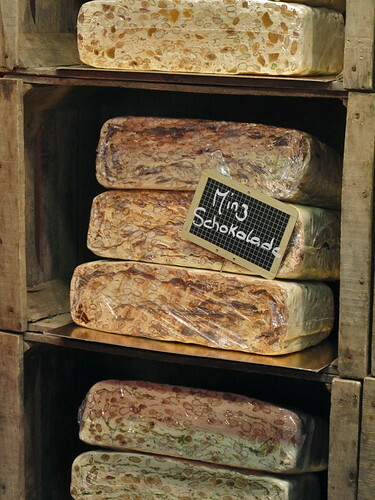 Something to try at your next dinner party perhaps… And be sure to pronounce their name, Scrounchs, like the sound they make when you eat them ! When I first looked at the list of exhibitors at the show, there was one that jumped right out at me, and that I knew I simply could not miss: Nougalicious. Had my name all over it. 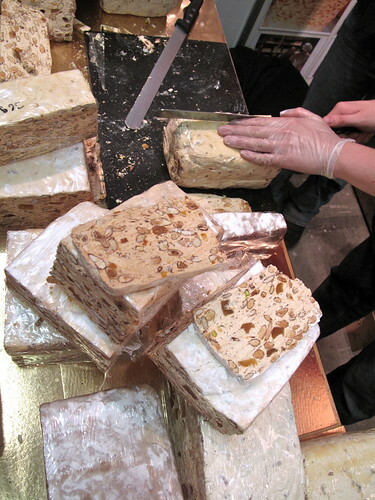 You all know how much I love nougat (ah, Venice. Note to self: make more soon.) 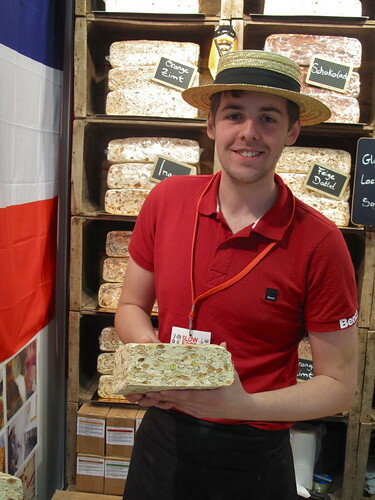 Andy Williamson (below) and Annabelle Kastens brought their nougat from the south of France, where all varieties are made using lavender honey (harvested during July and August), almonds and pistachios; and following in the spirit of Slow Food, certified organic and fairtrade raw cane sugar and free range egg whites. Depending on the flavor, the rest of the ingredients vary from apricots and rosemary to salted butter caramel and marzipan. 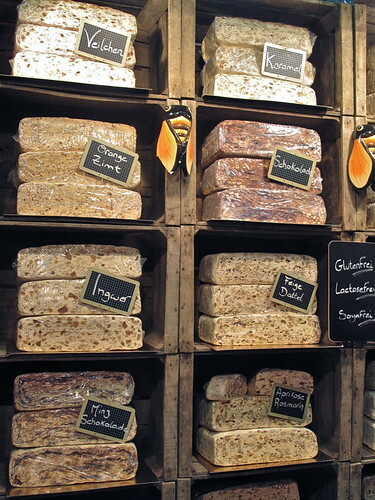 So many people mistake their big 4 kilo rounds for cheese that they box pieces in small round cardboard boxes, traditionally made for Camembert. Very clever. With my slice of dried fig and date nougat ready to go, I asked Andy to tell me more about the mint chocolate flavor that clearly caught my eye. Turns out, it’s not one of the most popular among the flavors, but happens to be his favorite. We have a lot in common. I simply fell in love with it. The fact that they use Valrhona 70% chocolate didn’t hurt. 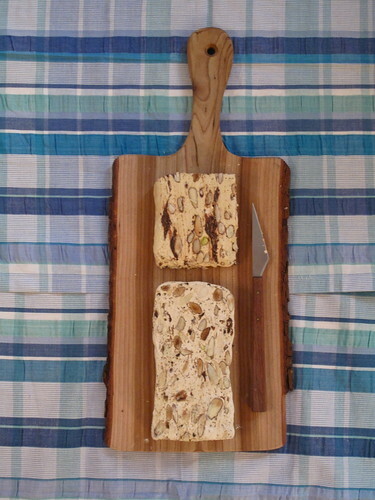 Furthermore, we agreed on the fact that nougat should be sliced thick so you can really appreciate the texture, that soft chew nougat is known for. 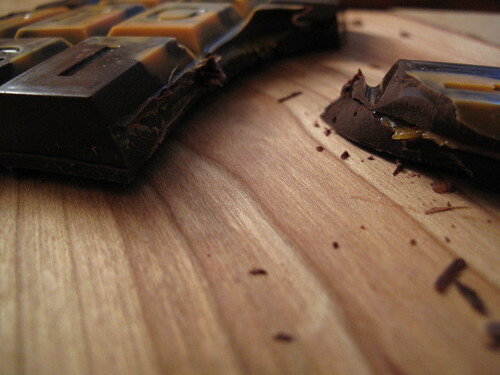 And if you think the thicker the piece, the longer it lasts… think again. 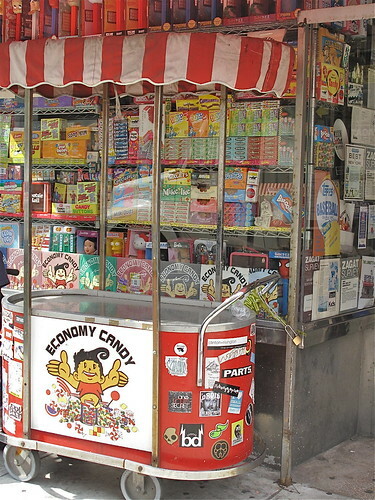 Wow, I wish I could have visited Zürich then and roamed through the stalls of that fabulous market! 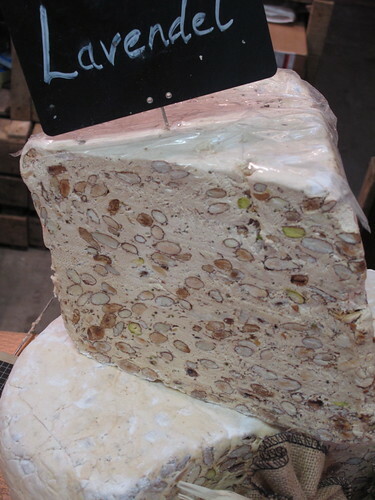 I know Slow Food from my stay in Italy – ages and ages ago – but I am not surprised to read that Zurich has its nose once more ‘dans le vent’…. the Bretzel: 30” to 1’ never more…. 🙂 but they are lovely even when burnt!!!! I won a Bretzel-Eisen by Jura once when I submitted a recipe that I literally typed into the typewriter (yes, I am that old!!) and sent off just with the hope to win any prize. And win I did – that famous Bretzel Iron. Have however no idea at all where it went – have moved so many times I must have given it away – but BOY did I produce tons of ‘Bretzeli’…. With the honeys I don’t know…. I have often heard that every honey is best for you when you eat it where it comes from. So, when you eat honey from chestnuts, they should be from the area you live in or you should be eating it – let’s say – nel Ticino!! We have tons of acacia trees next to our house and the smell of their flowers drives me absolutely insane – so even it would make local honey, it’s a no for me…. We however love, and devour, locally produced honey in (too) large quantities. 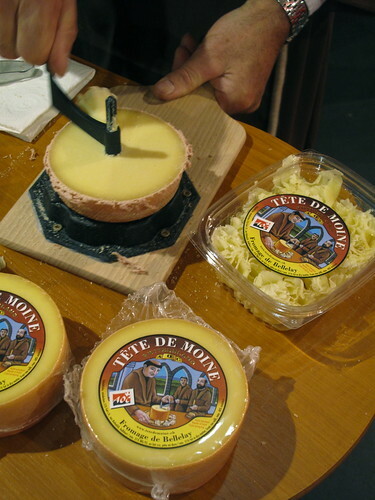 I would right now kill for some Tête de Moins…. that’s another instrument I once bought and no longer own – but then, it’s horrendously expensive to buy the TdM-locks here in France – so I dig in when in Switzerland! 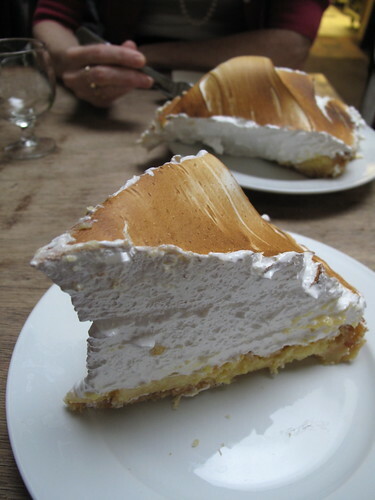 I let you have the meringues – I take the real stuff instead // but I agree wholeheartedly with Andy… il a raison! 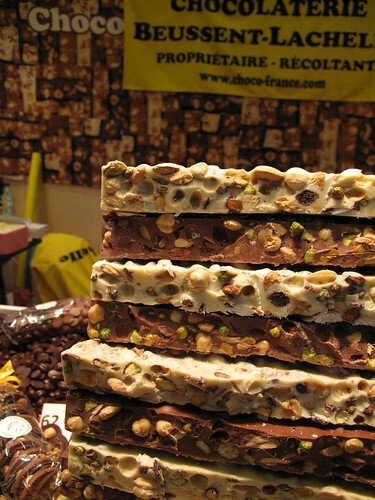 Merci for this delightful and mouth-watering trip in Zürich. 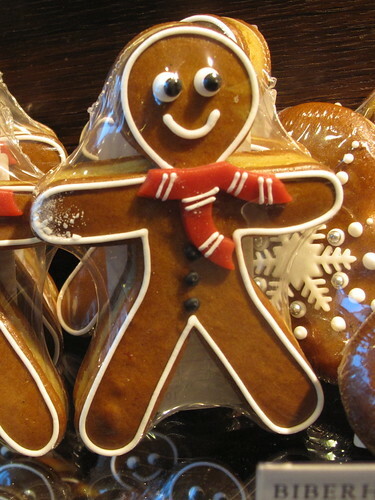 Oh Kerrin, I just see that you’re no1 of the Zurich tours on TripAdvisor – CONGRATULATIONS!!!! 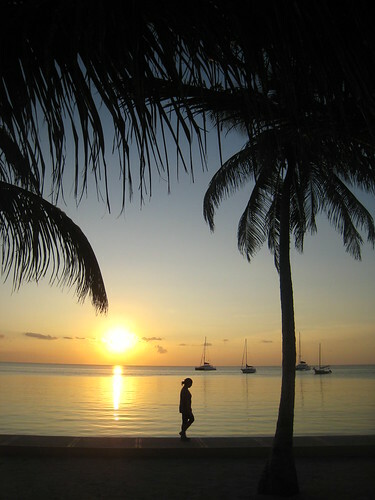 TripAdvisor is a great tool to find out the honest opinion of fellow travellers and I try to write comments as often as I can (which is still never enough….). I definitely don’t have as much insight into these products as the comment above me (wow! ), but I have learned from this post that in order to eat slowly with healthy foods, one must wear strange clothing. And that areas of built-in extra fabric (i.e., shoulders) help you to digest more comfortably at the slow pace you are eating. Funny hats help too. Oh, just kidding:) But I do like the attire. Mielicromia, I love it. What a clever way to market such a delicious product! 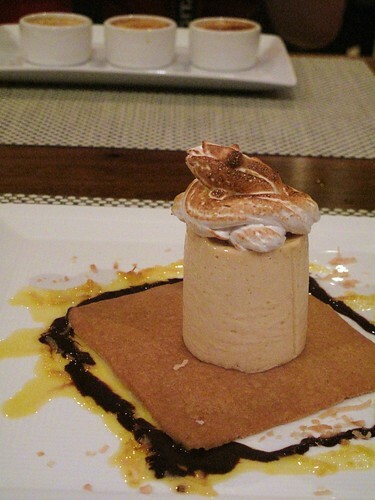 Mmm, oil and pepper meringues… I think I’d stick with the sweet side of the spectrum. chriesi, thanks ! Glad you enjoyed the market too. What was your most delicious find ? 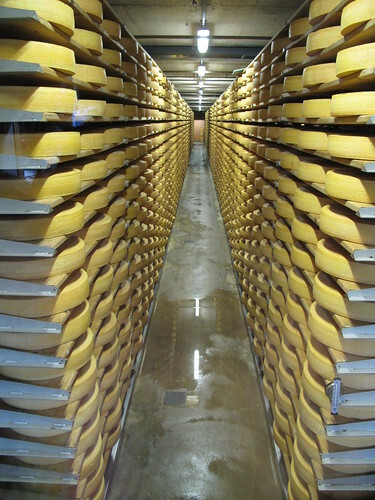 Rosa, you’ll have to roam those aisles next year – it will be coming back to Zürich early November again, yay ! –> Kiki, danke vielmal ! 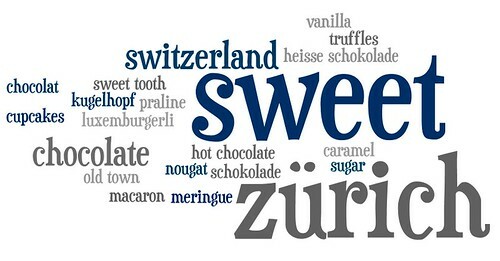 Really appreciate your positive words about Sweet Zürich on TripAdvisor ! 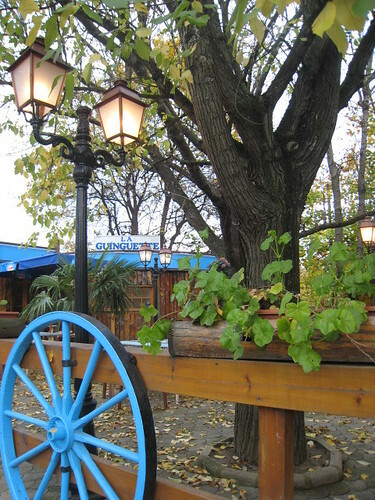 Oh my these pictures leave me terribly homesick for Europe. Your pictures totally bring me there. Thanks! We have Slow Food Canada as well, but not sure if they have organized a market as extensive as this, if at all! I want to support local farmers, local artisans, and small businesses! I don’t want to shop for my food where they sell tires as well (that’s you, Wal-Mart!). 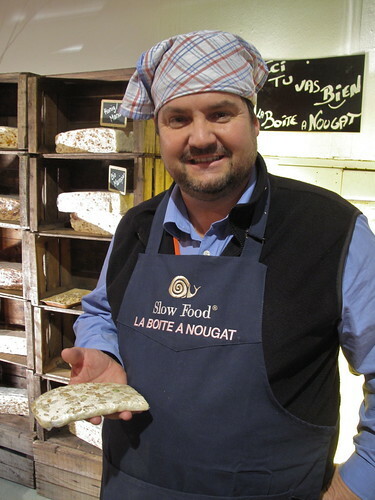 I so enjoyed this post on the Slow Food Show. I is right on target for Zurich which is filled with impressive fresh food especially vegetables. Going to the markets in Zurich is such a treat because everything is fresh right from the ground! 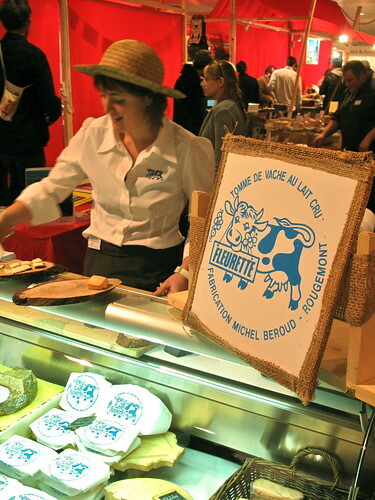 I know in NY there is a Slow Food Show but I don’t think it is as popular as it was in Zurich. The photography gave me such a wonderful visual of all the people and all the good things to eat. Thank you! 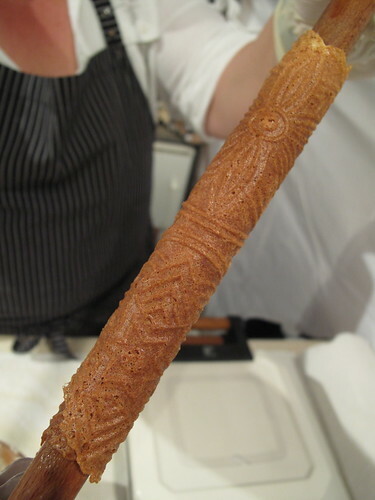 Oh by the way…I will take the nougatine! This is interesting. 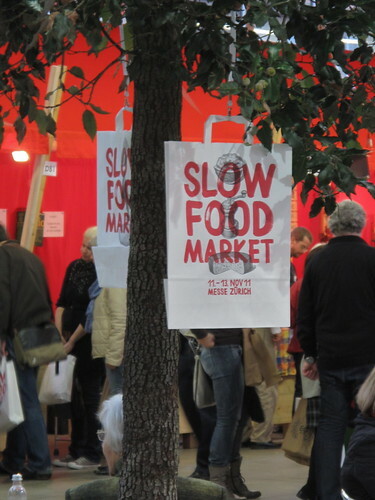 I know about the slow food initiative, but have never been to a slow food market. When looking at all the lovely picutures I feel I definitely missed something. Katy, thanks for coming along ! Kiki, exactly ! As I was saying above, you are so right – the Swiss were indeed well ahead of the game. 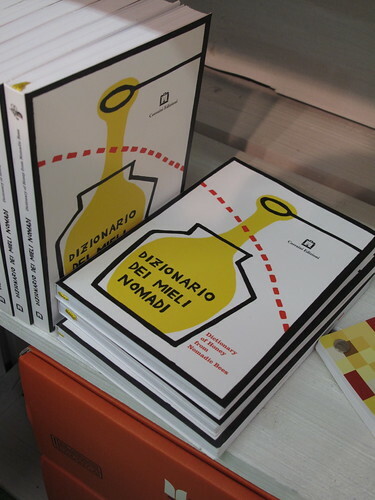 What is oftentimes a big effort or proactive campaign in certain countries – simply comes naturally to the Swiss. They would never have thought or done otherwise. thank you very much for you wonderfull article about our market. we’re happy you enjoyed your visit and we’re happy too with the succes of this first salone del gusto swiss style. I’d like to use the opportunitiy to invite everybody who wants to support our ideas and our work for good, clean and fair food to become a member of your national slow food organisation. In fact, we need money to keep things going further, even in Switzerland. And there are a lot of different projects to push: food sovereignity, taste education for children, food laws, building awareness by the consumers, saving knowledge of food manufacturing (for example raw milk butter), and so on. and, why not offer a membership for christmas? 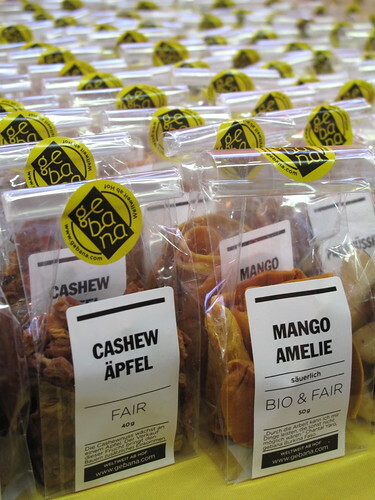 thank you very much and see you all, hopefully, next year at the slow food market! Looks fantastic. 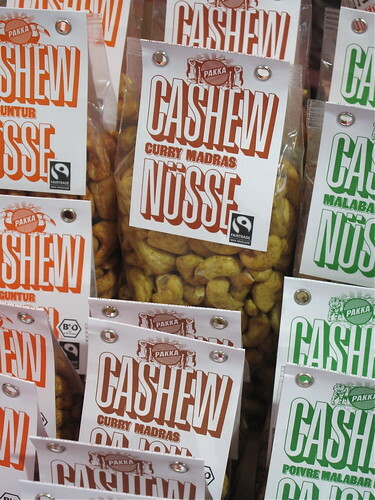 You’ve made me miss all the local Swiss goodies I used to buy! Nice blog! I found it through a comment you made on SwissWatching! I also have a blog, its more savory than yours 😉 but I did used to be a Beekeeper! Sven, many thanks to you for your comment here. 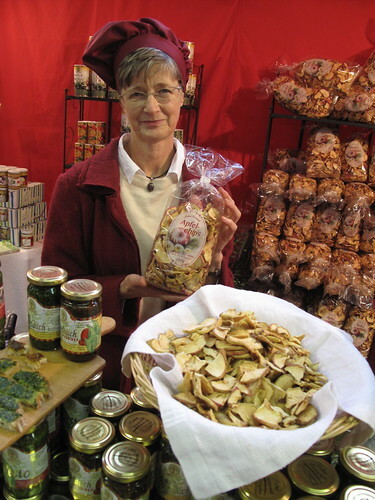 The first Salone del Gusto Swiss style certainly did have a grand success – 7,400 visitors ! Those are all important projects you shared above, I hope they see fruition. And indeed, a Slow Food membership would be a wonderful holiday gift, thank you for sharing the idea ! Amanda, so you have to come back to bring a suitcase full of them home with you !! I plan on keeping my own bees in the back garden in the next year. 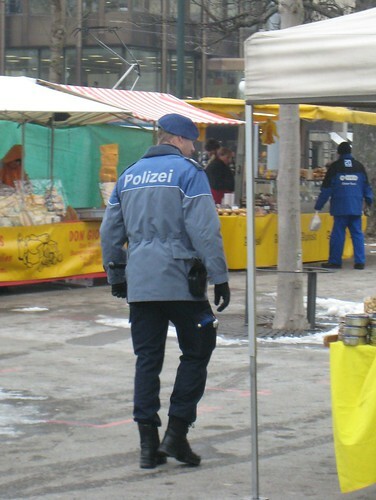 As for buying honey in – Winterthur it would be at the Market on either Tuesdays or Fridays. I usually buy my honey when a travel especially in France & sometimes in Italy. 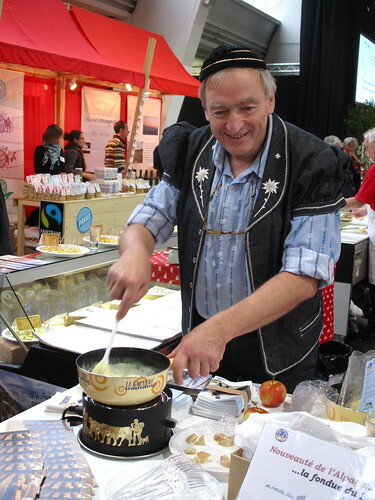 I find that Swiss honey can be a little too sweet – it will be interesting to see what my honey tastes like. Did you know that a worker bees life is about 6 weeks & that she makes about a teaspoon of honey in her life! Bees will fly up 1.5 kms to collect pollen & nectar. I am sure that Bees & Honey will feature in my blog soon!